Die Angewandte is celebrating 150 years of innovation and creativity within the field of art, architecture, and design. 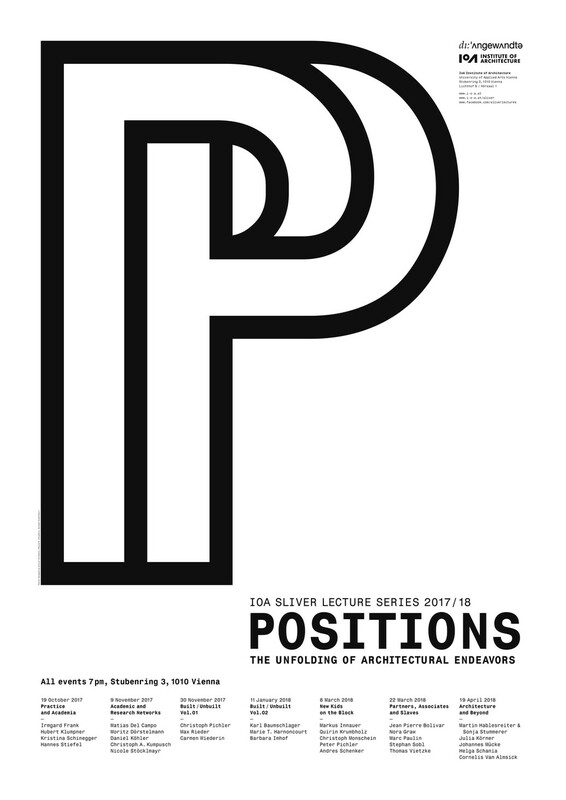 The upcoming SLIVER Lecture Series 2017/18 ‘Positions’ operates as a platform for presentation, discussion and reflection upon its own pedagogical activity and of their offsprings, who successfully transform it into their own practice. We want to encourage and inspire our current student body and interested professionals from Vienna and abroad, by creating a format where different positions can enter into a dialog. For this occasion we are organising a series of seven panel discussions where a small number of selected participants, hence Angewandte graduates, would shortly present their practice and body of work and then engage in a moderated conversation about a variety of topics addressing academia, practice and beyond as well as overall disciplinary concerns.